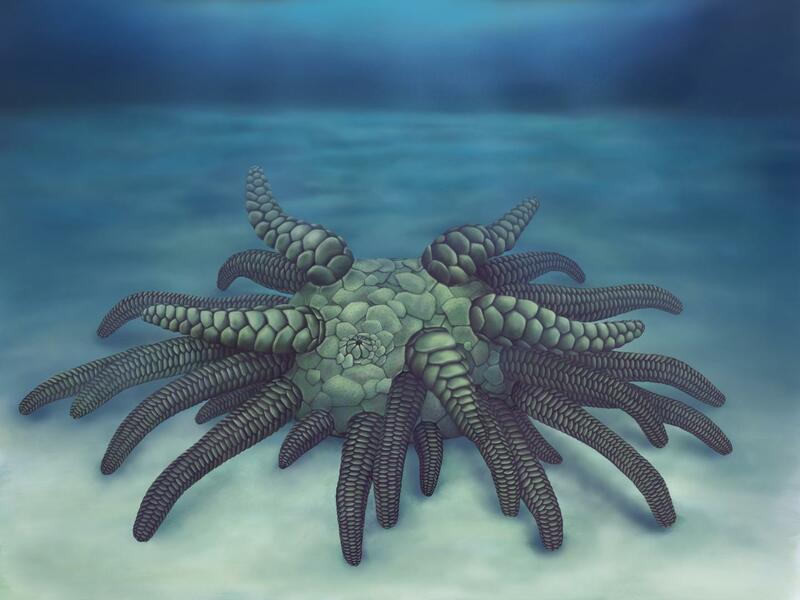 New Haven, Conn. – Cthulhu is calling from the ancient depths — and this time, researchers are only too happy to speak its name. That’s how the researchers were able to discern Sollasina’s internal water vascular system and determine it is more closely related to sea cucumbers rather than to sea urchins. The lead author of the study is Imran Rahman, deputy head of research at the Oxford University Museum of Natural History. Other authors are Jeffrey Thompson of University College London, David Siveter of the University of Leicester, Derek Siveter of Oxford, and Mark Sutton of Imperial College London.